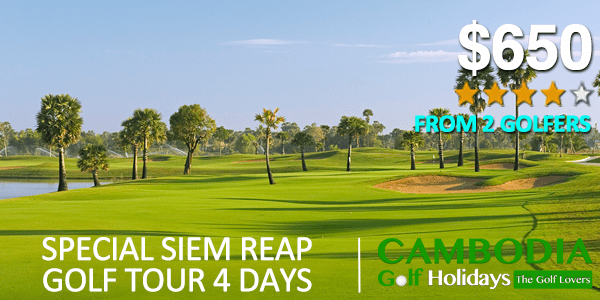 Siem Reap Golf Holidays are all about Siem Reap Tour Packages create, arrange, and organized by Cambodia Golf Holidays is a specialized golf Cambodia base in Siem Reap City. We work with all Siem Reap Golf Courses such as Angkor Golf Resort, Siem Reap Booyoung Country Golf Club, and Phokeethra Country Golf Club where you will enjoy golf and make fun in the best destination in Cambodia and in best golf clubs and best maintenance golf course in Asia. Beside Siem Reap Golf Holidays, we have also Phnom Penh Golf Tour Packages and Golf Cambodia Tour Packages. More than golf, you will have a great time to visit Angkor Wat Temple, one of the most beautiful site and a world heritage site of the human. Angkor Wat is a biggest religious temple in the world and became the most attraction site in Asia. Hence, Golf and Angkor Wat Temple will make you a great tour package for Siem Reap destination. Do you need a golf holiday package in Siem Reap? 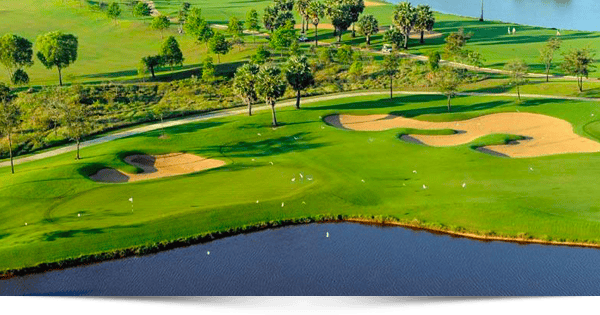 This Siem Reap golf vacation package will provide you two functional tour activities, one is golfing in three golf courses and second is temple tour. We spend more times to organizing our tour package to be the best quality and we also lead you to enjoy your favorite golf and world heritage site of Angkor Wat Temple. It is not much complicated because we think about your staying period. 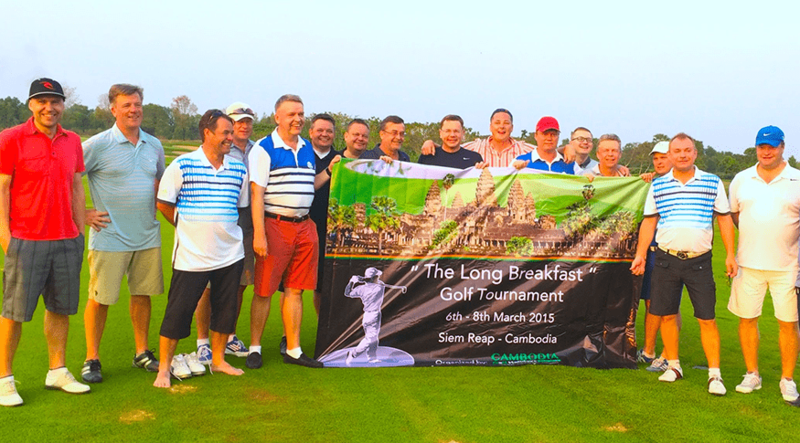 Do you need a golf holiday in Cambodia? 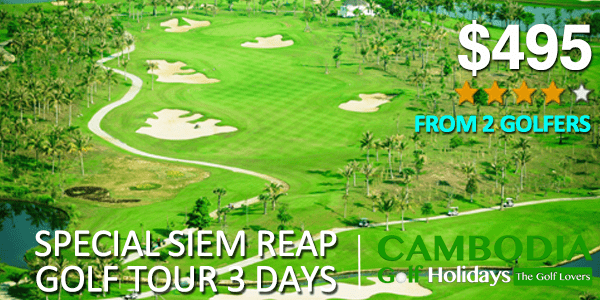 Choose a Special Siem Reap Golf Holiday, one of our 3 days holiday package. This tour package will make you a real vacation in Siem Reap because you will receive what you have never expected. 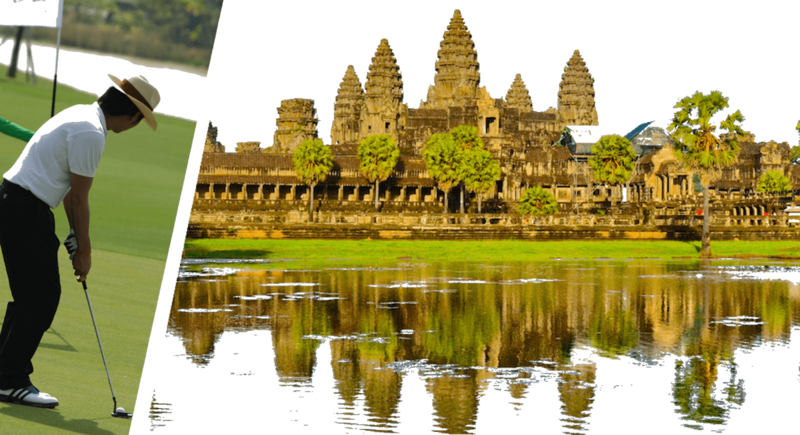 Golf and Temple history tour are not much difference from other golf tour package, but this tour package is focusing on main golf courses in Siem Reap plus major temple of Angkor Wat and Angkor Thom. Siem Reap Golf Holiday Package is one of the best Cambodia golf packages which is selected for the weekend or holiday trip. This tour package will bring you to one of Nick Faldo golf course which locates in Siem Reap, that is Angkor Golf Resort.